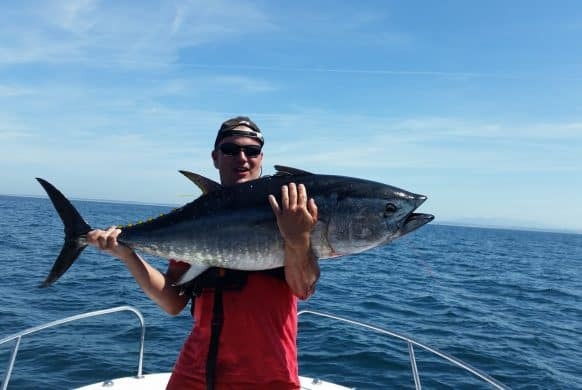 Sea fishing on the French coast and especially on the Basque Coast offers a unique fishing experience, comparable to the best fishing destinations in the world. 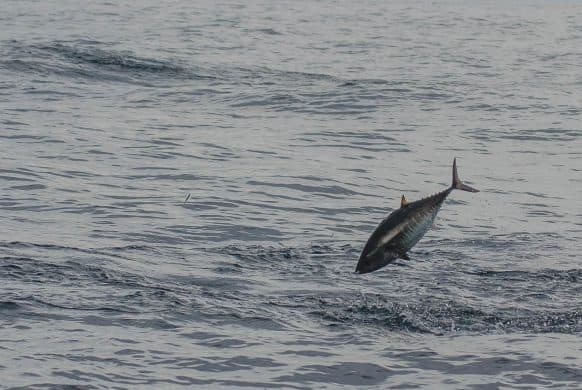 Fishing for tuna on the large feeding frenzies we have here is impressive, to say the least! 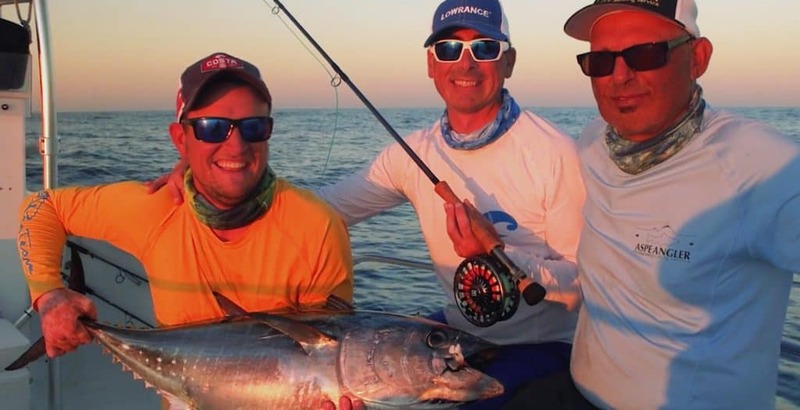 Using fly fishing or spinning tackle to catch those fish while they aggressively feed in large topwater frenzies is one of the most exciting experiences in an angler’s life. 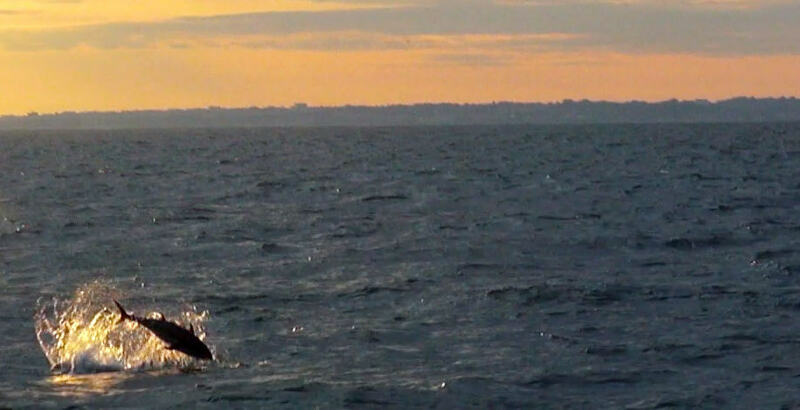 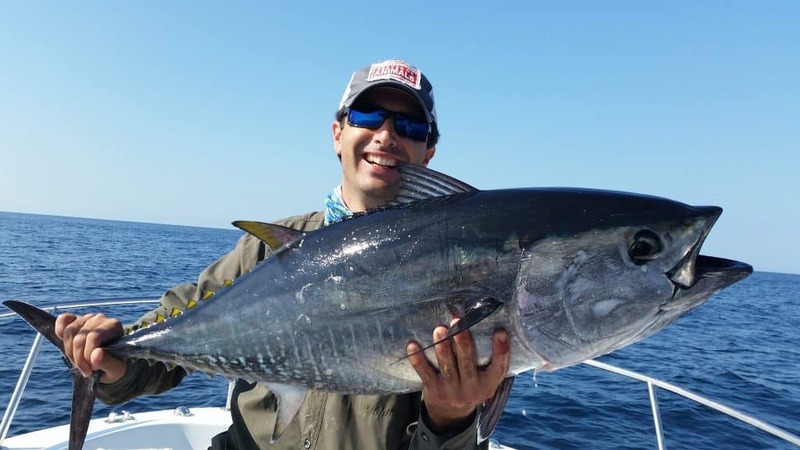 Bluefin tuna is an extraordinary fish; its power and endurance make it a fantastic challenge for any sport fisherman. 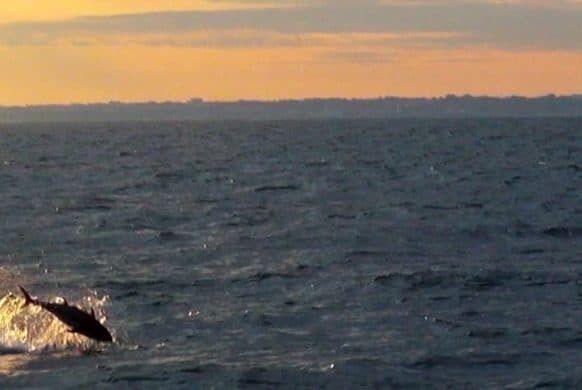 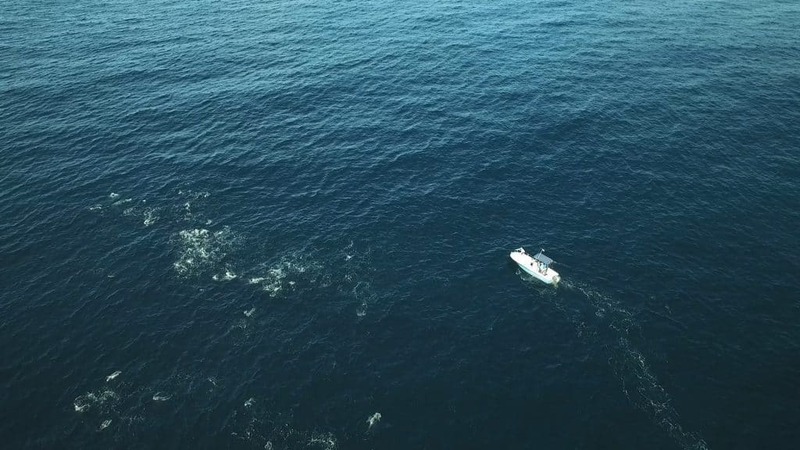 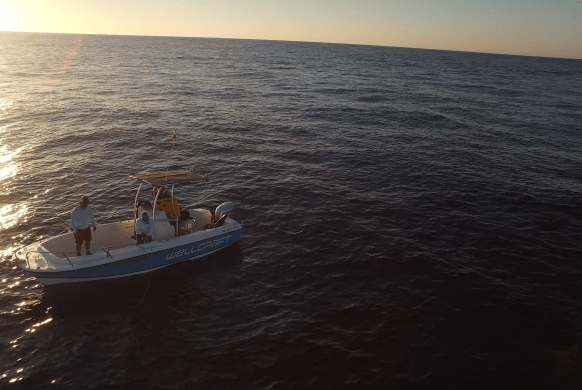 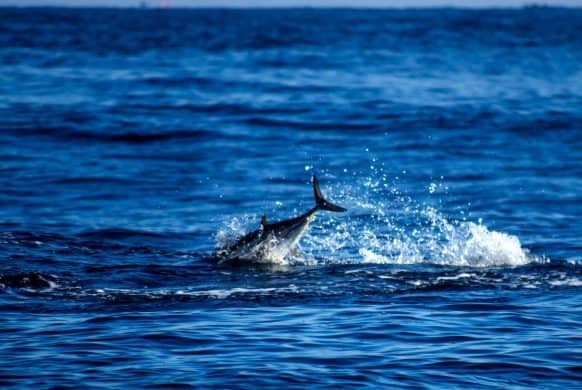 Fishing for bluefin tuna is a real challenge: from the search of the feeding frenzy until the release of the fish, the angler is pushed into his limits permanently. 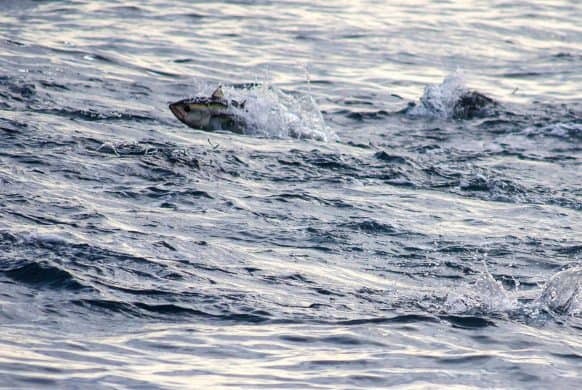 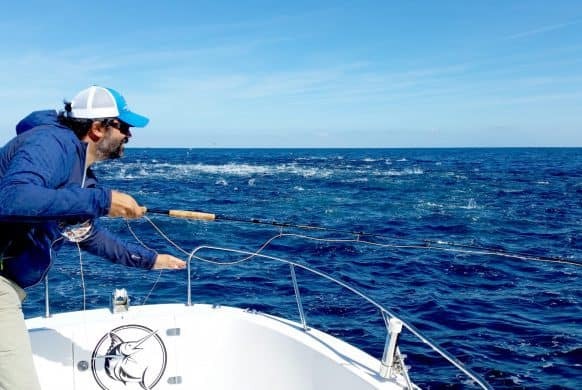 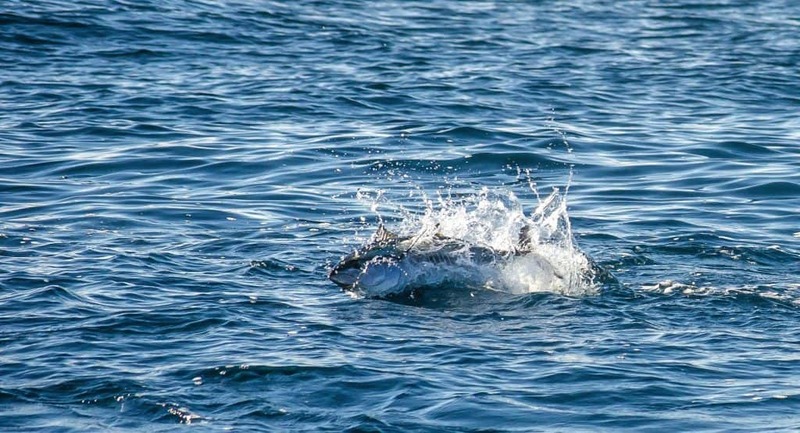 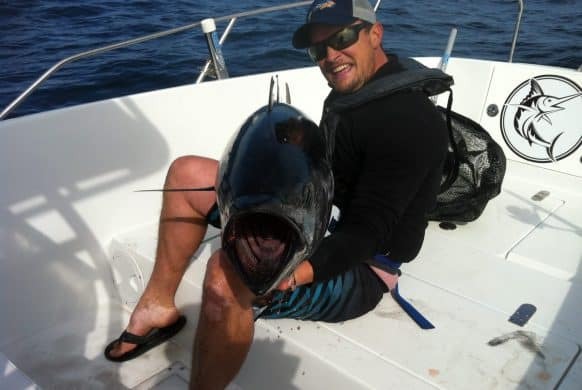 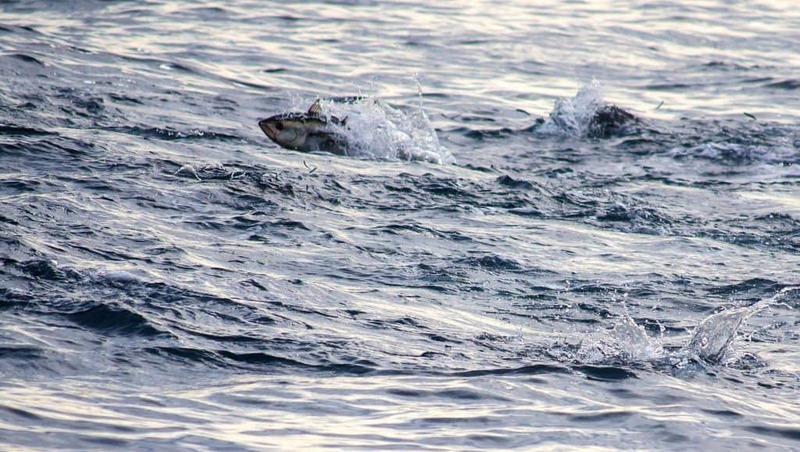 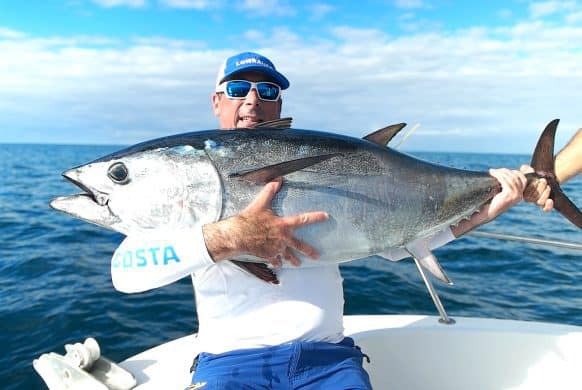 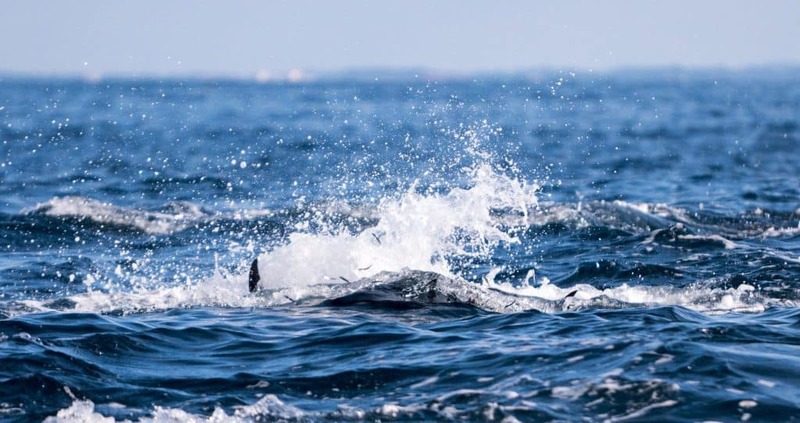 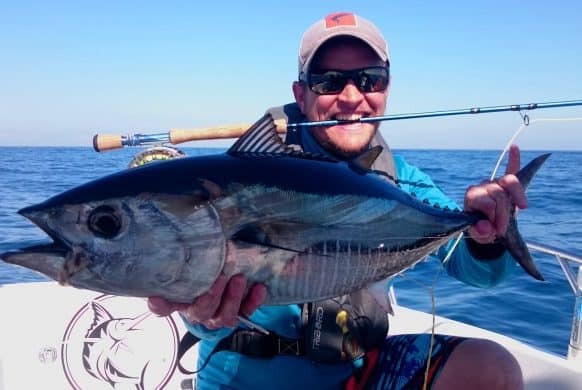 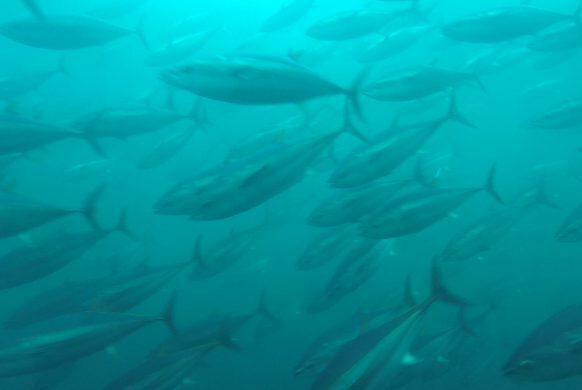 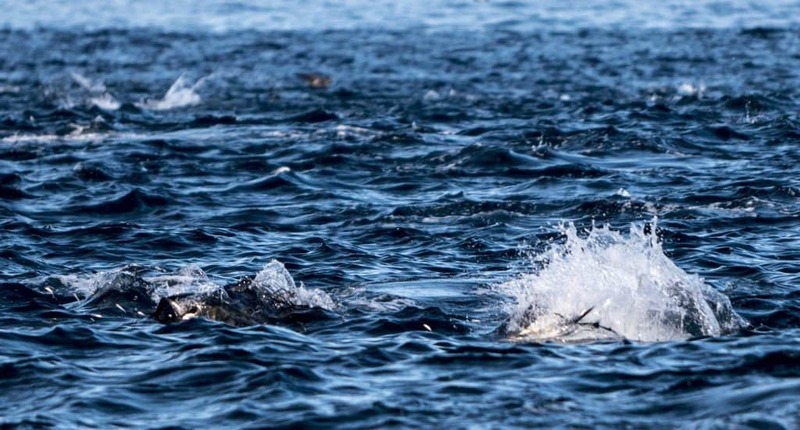 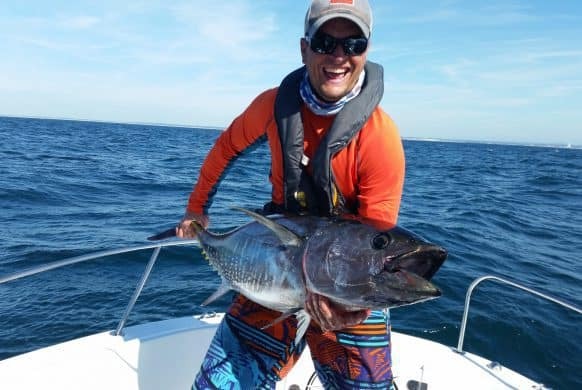 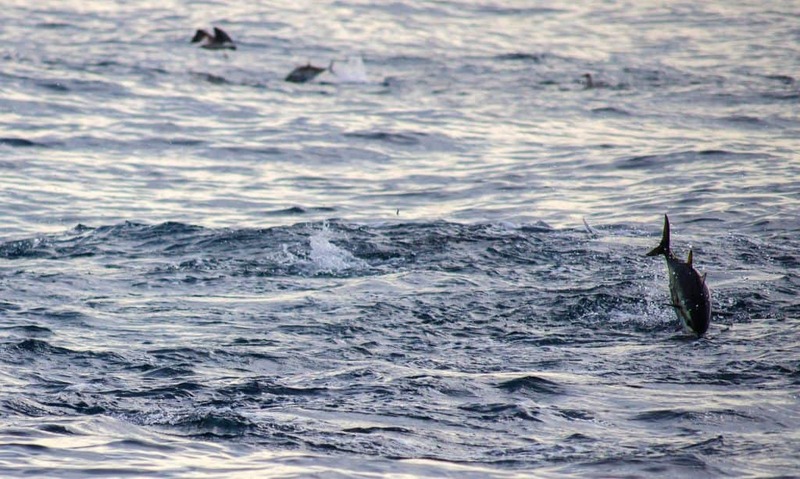 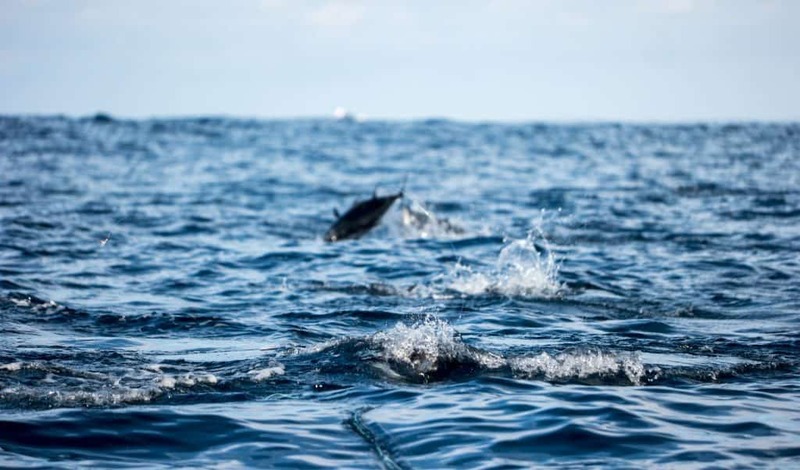 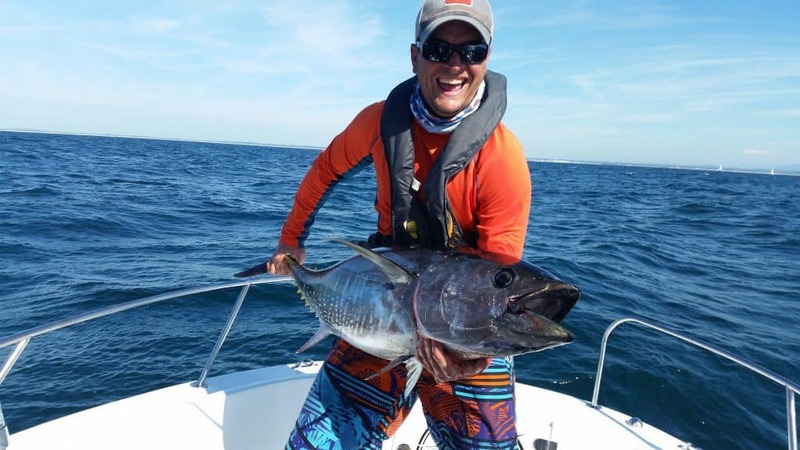 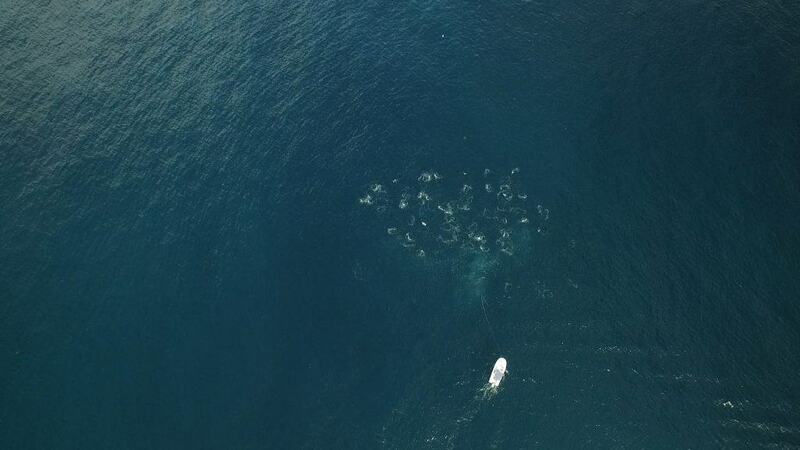 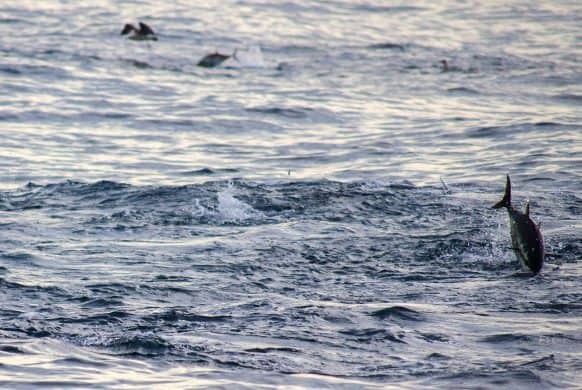 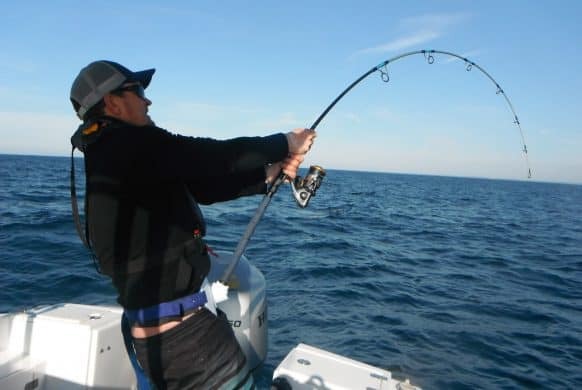 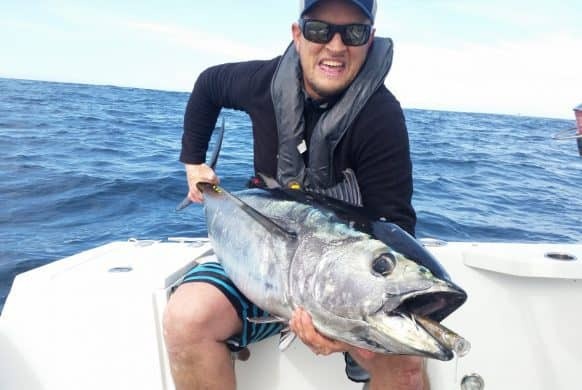 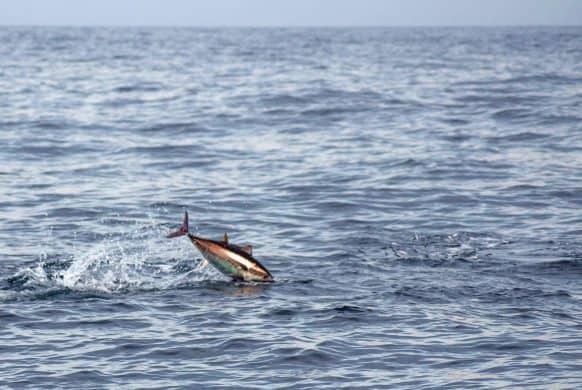 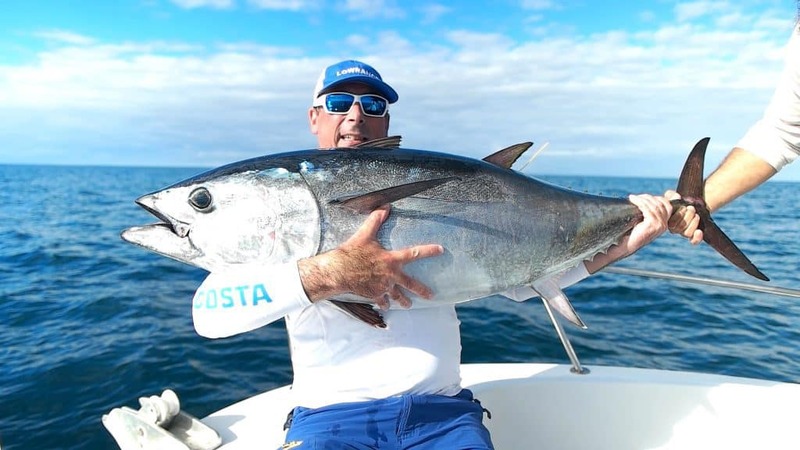 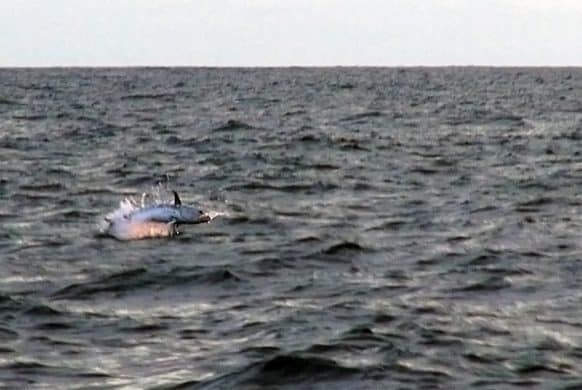 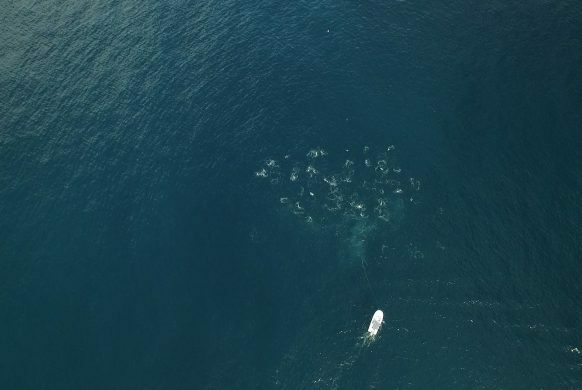 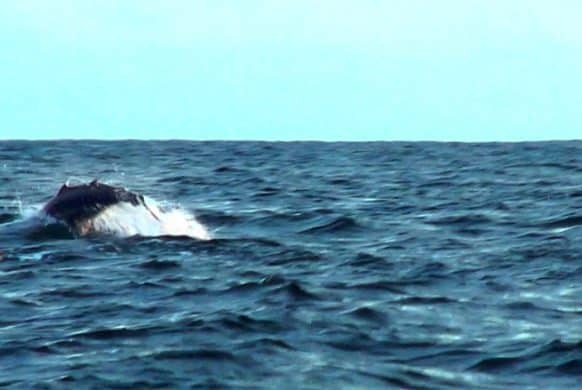 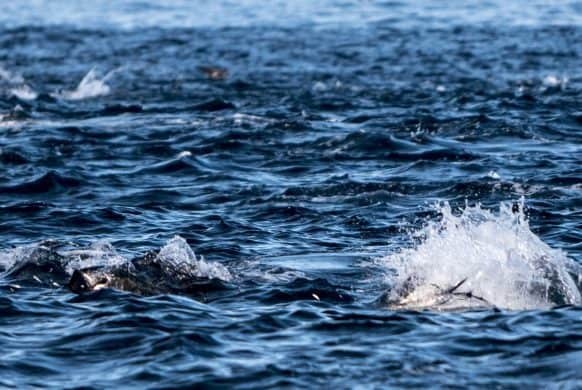 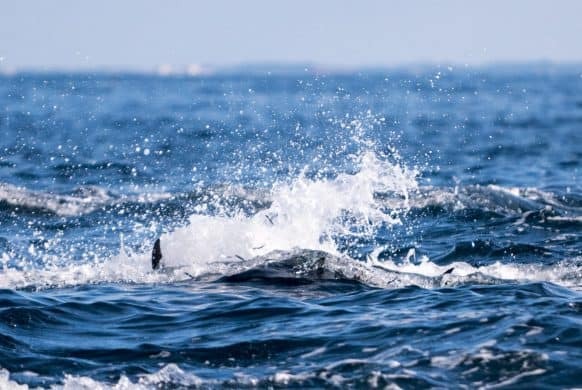 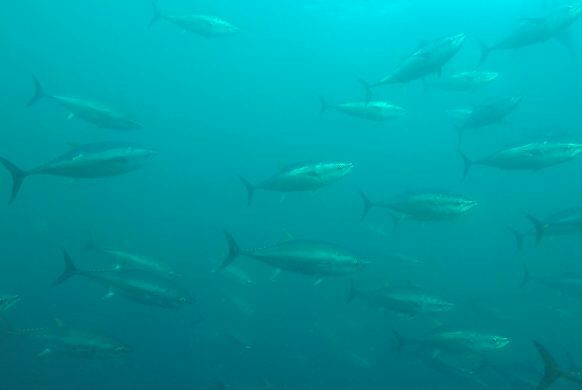 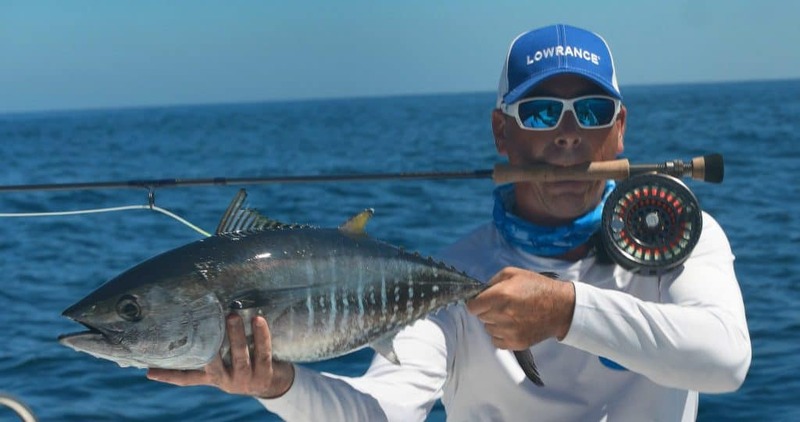 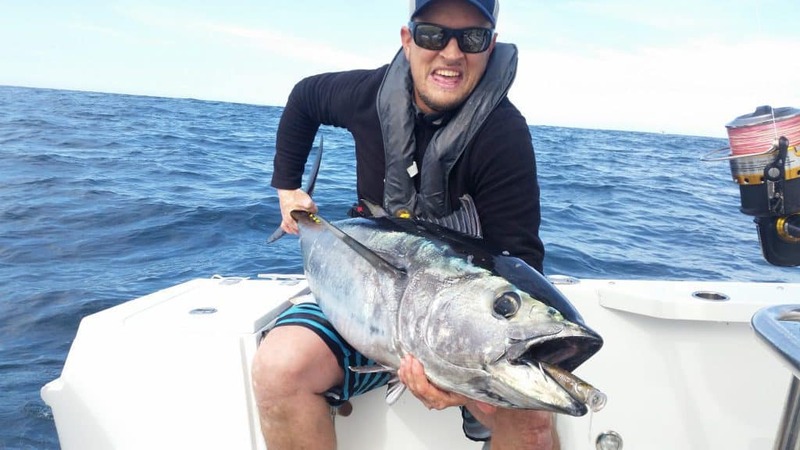 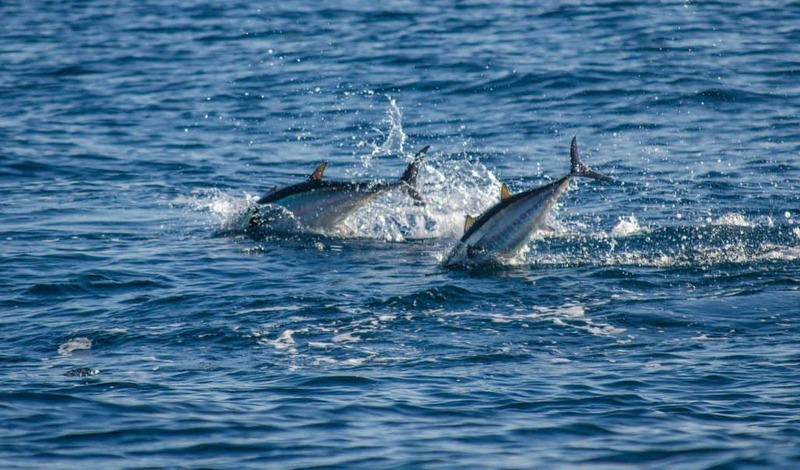 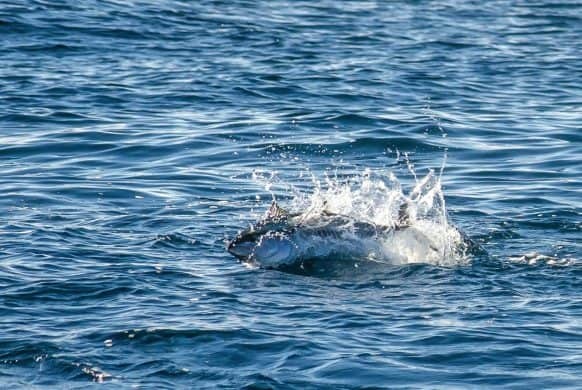 The presence of a large topwater bluefin tuna feeding frenzy usually provoke a communicative hysteria on the boat: the sight of the sea surface boiling makes the excitement rise as the boat closes the gap. 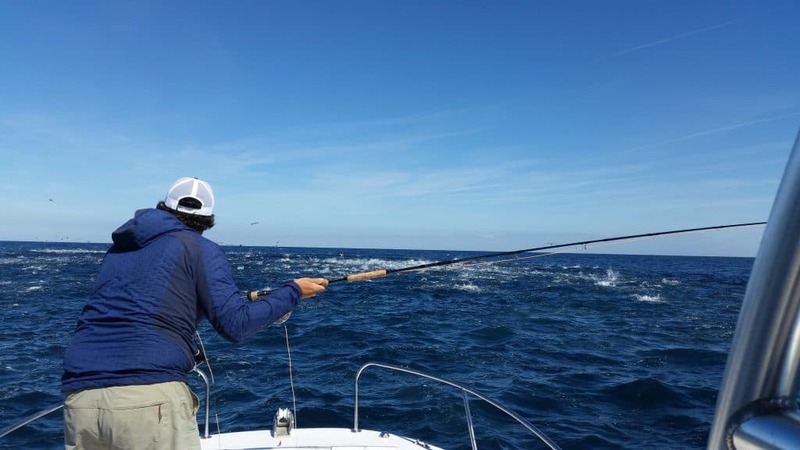 However, the angler must stay focused to successfully land his cast, and prepare to survive the intense strike and first rush of the fish. 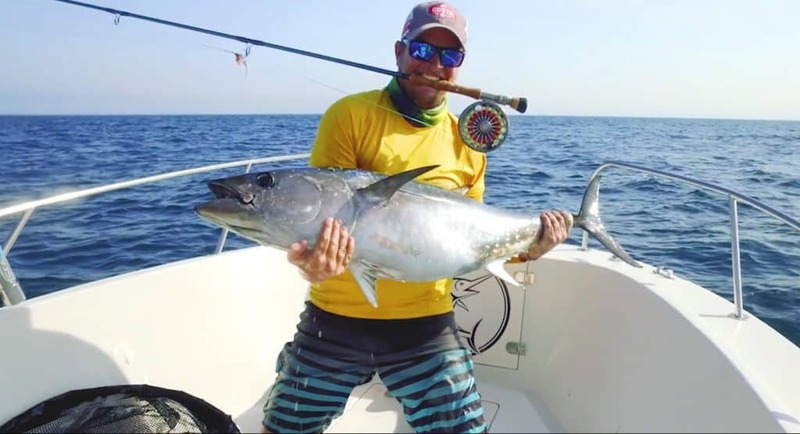 The goal of the BFT guiding team is to make you experience this exciting fishing in the best possible conditions. 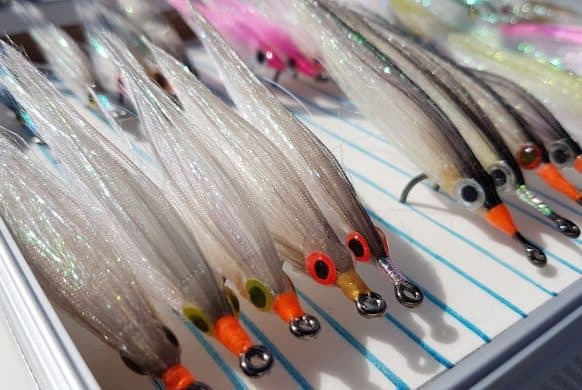 That means finding and carefully approaching these topwater feeding frenzies, to put you within casting distance, on fly or spinning gear. 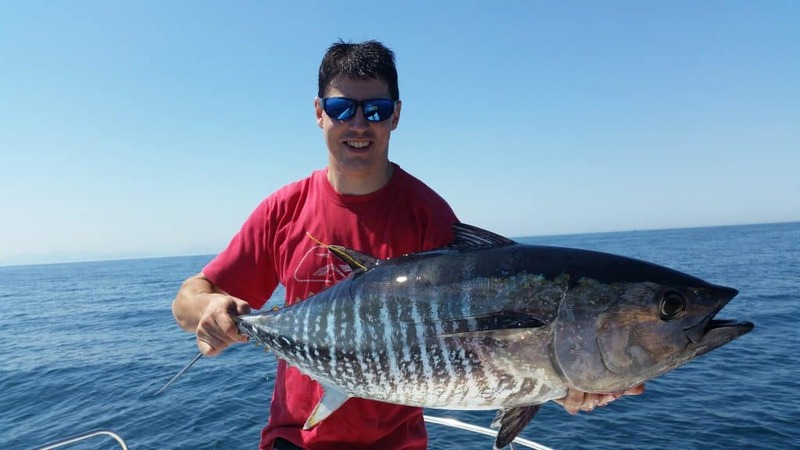 We only guide on the Basque country coast as this area is perfect for such fishing, with large and frequent topwater feeding frenzies. 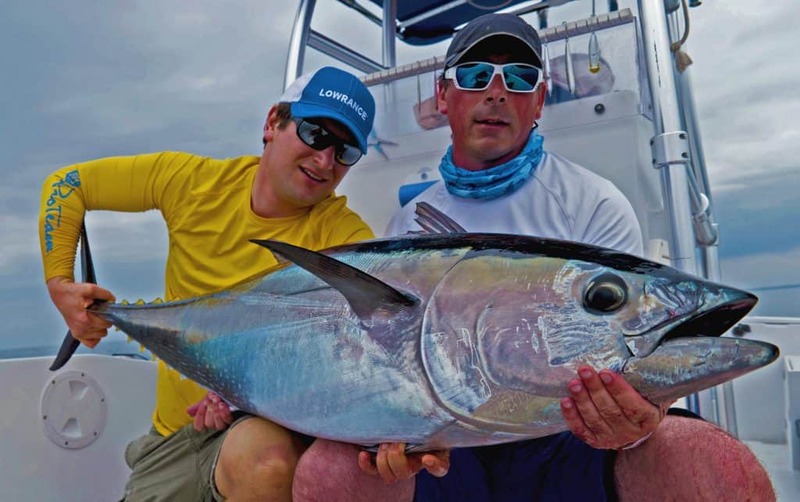 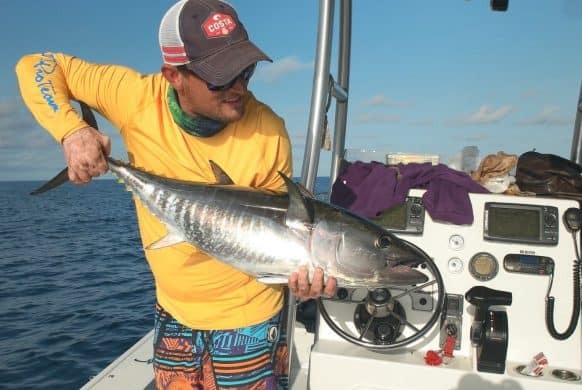 We will always do our absolute best to make your fishing experience unforgettable. 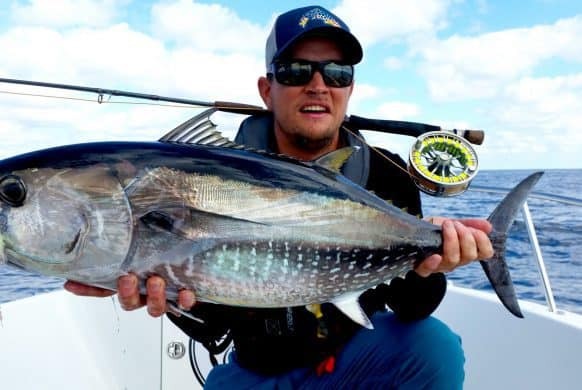 A fly fishing guide for 15 years, I am passionate about extreme flyfishing . 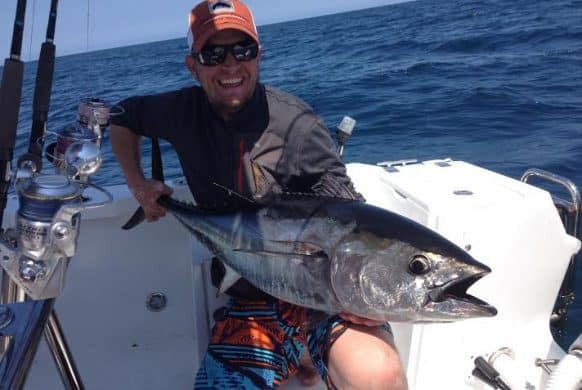 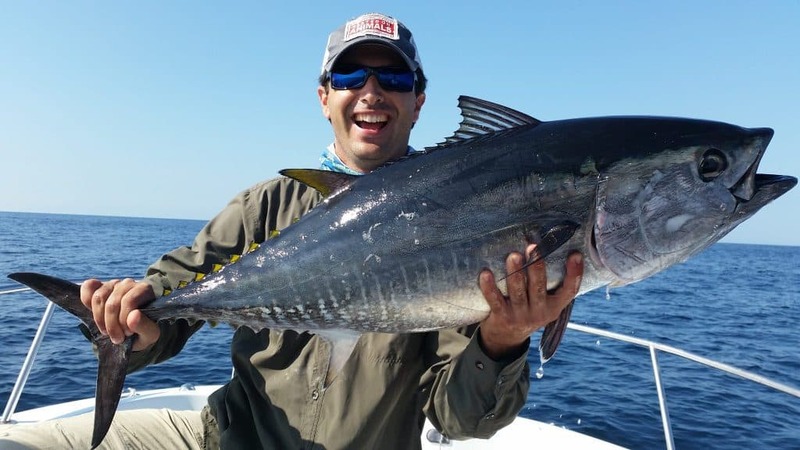 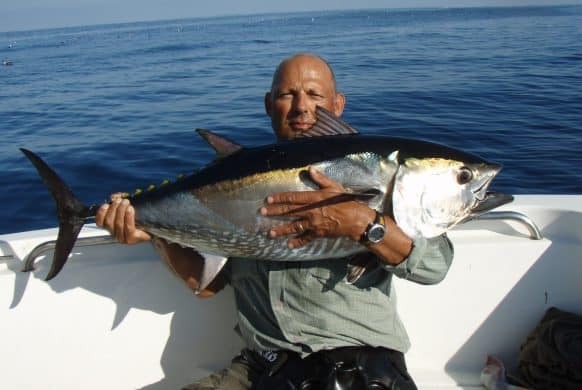 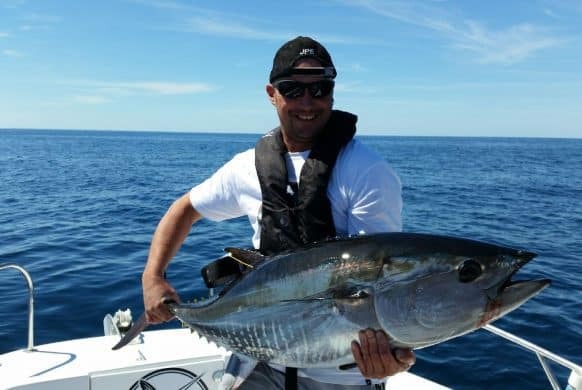 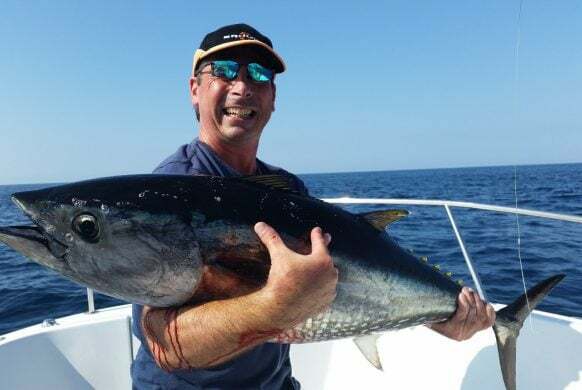 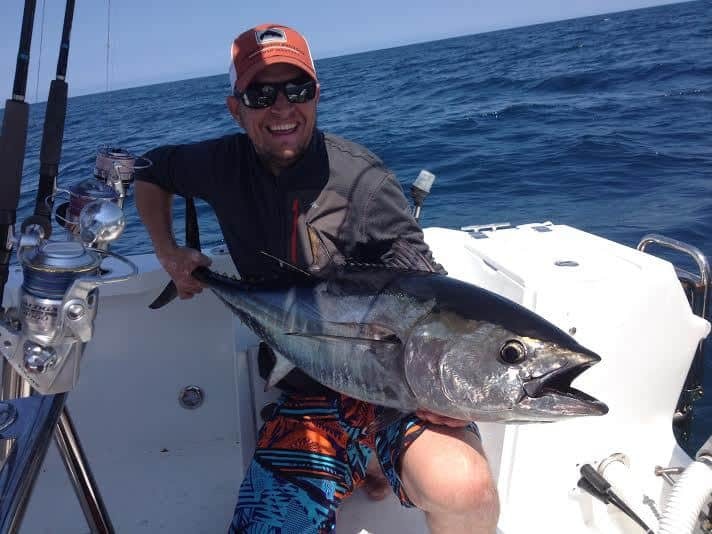 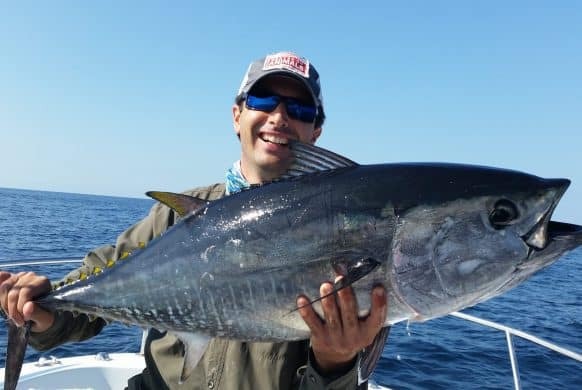 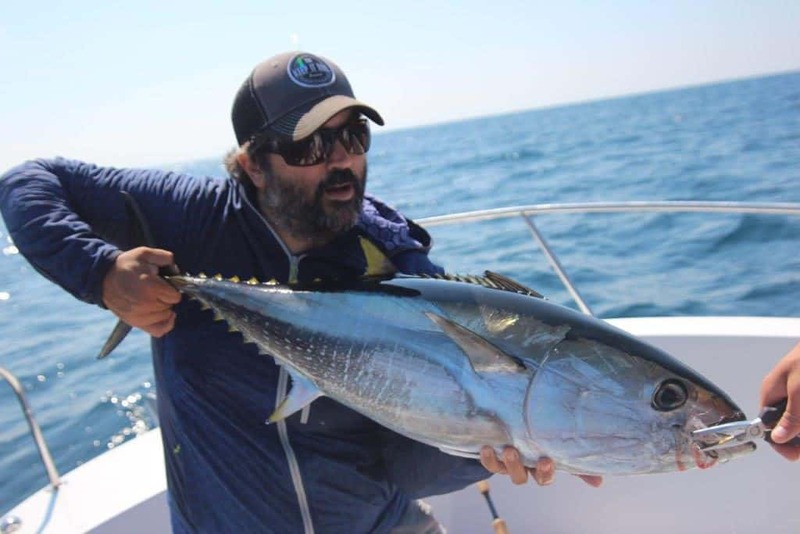 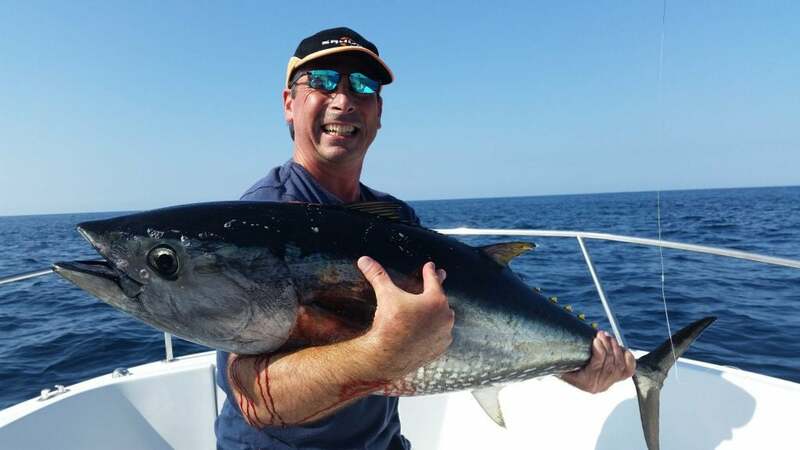 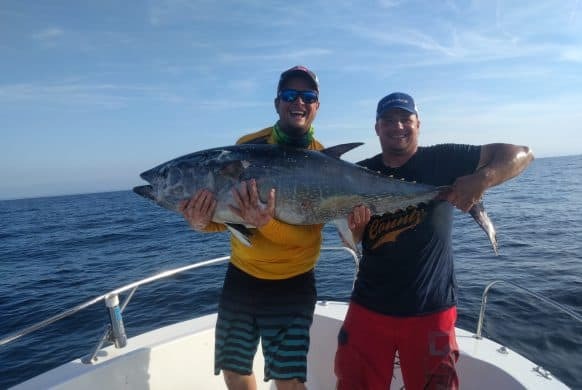 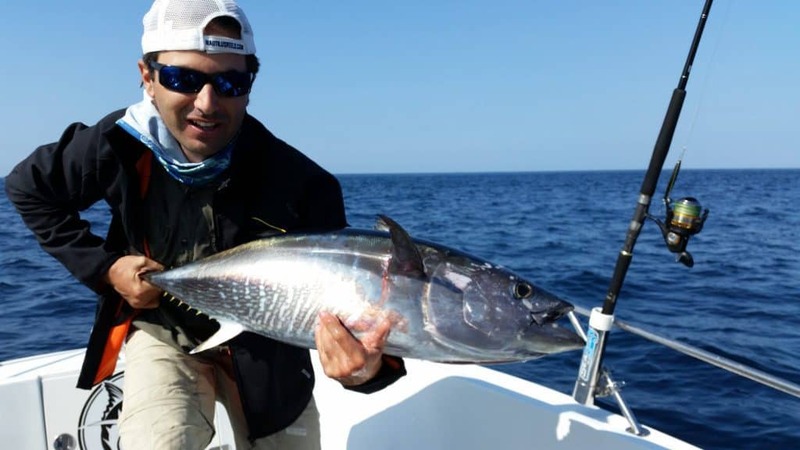 I have been fishing for Bluefin tuna since 2009 and my passion for this fish has led me to fish it exclusively, along with the smaller species that we also encounter (Skipjack, bonito …). After fishing Bluefin tuna on spinning gear, the fly has become my favorite technique and I consider it as the ultimate challenge. 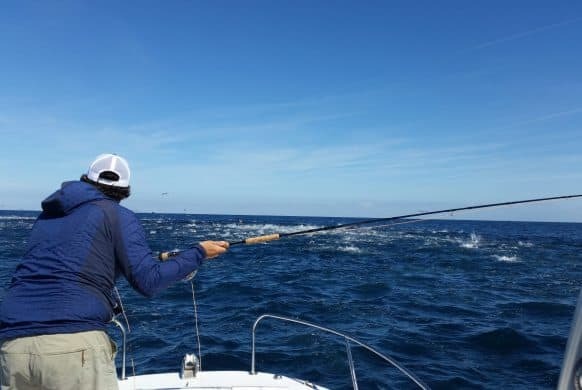 The approach to be in a good casting distance on the fly is one of the best parts for me: as a skipper I must take into account the movements of the fish and the direction of the wind to allow the angler to cast in the heart of the feeding frenzy. 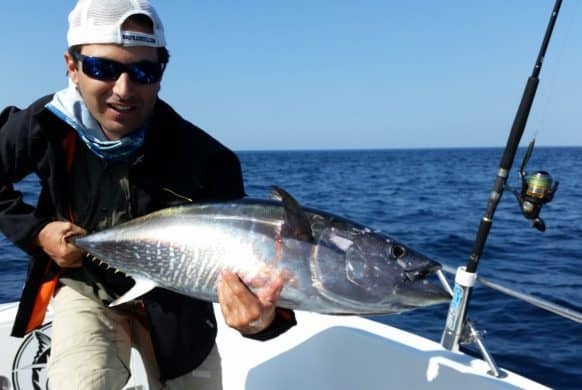 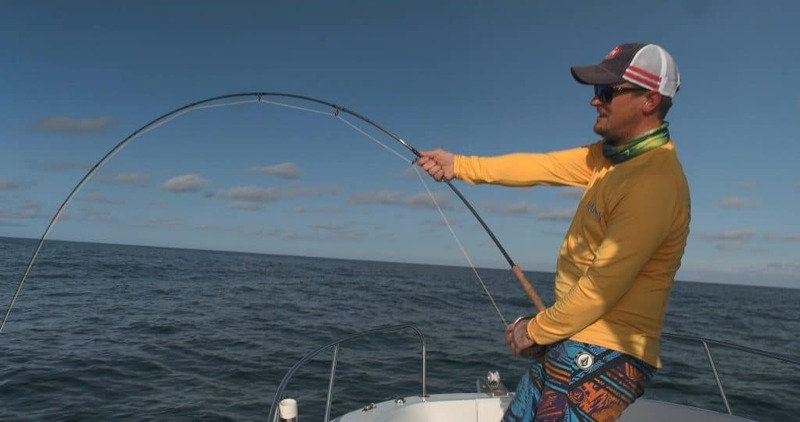 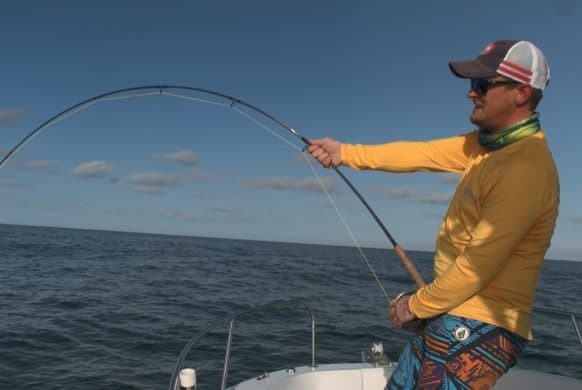 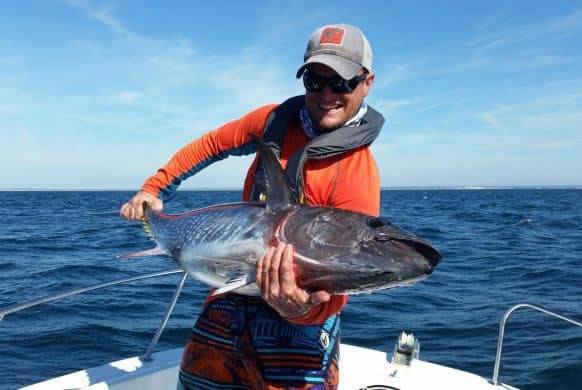 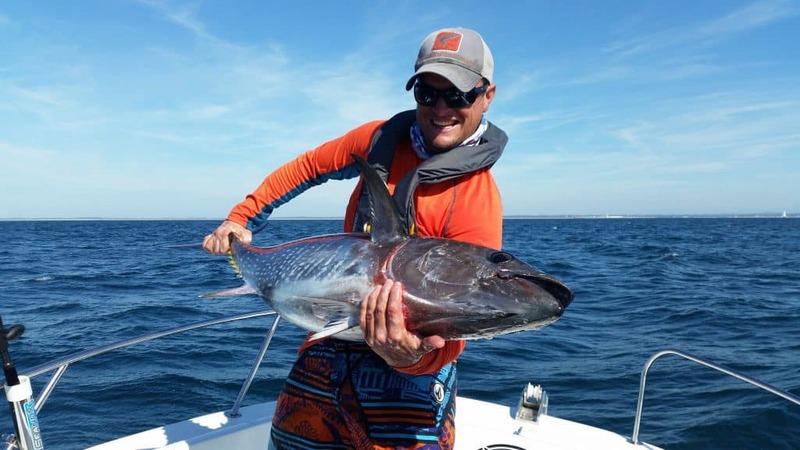 This passion led to the production of a movie focusing on the fly fishing of bluefin, and to create BFT Media, which produces other sport fishing videos. 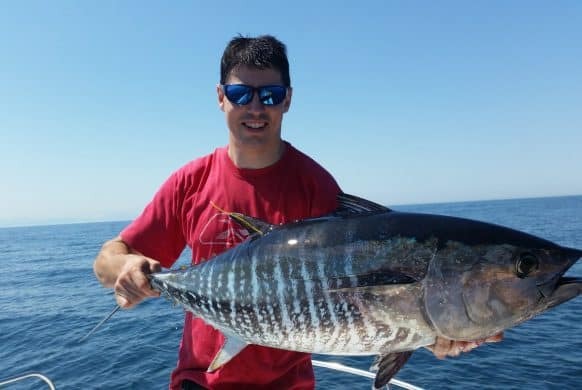 I will share my experience and do my best for you to have a fun and great fishing experience in this unique fishery. 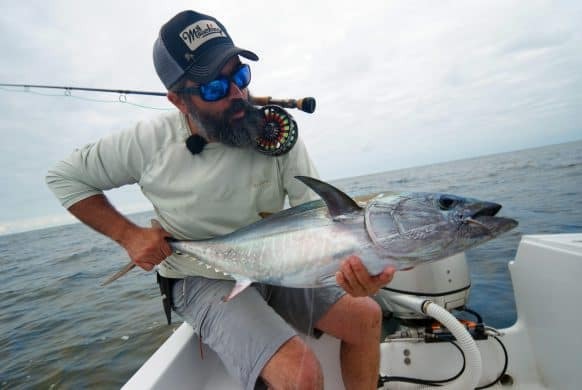 A fly fishing guide since 2012, telling that I am a enthusiast angler would be an understatement. 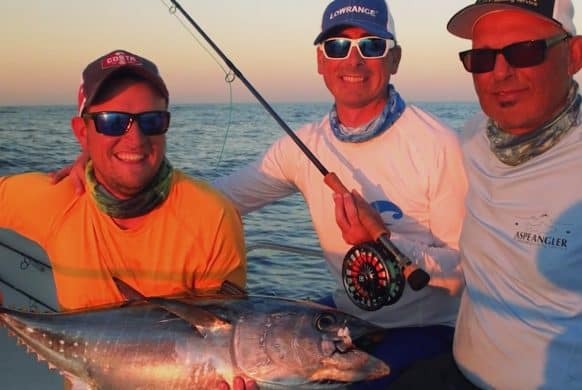 Both in my personal sessions with friends and guiding, my passion for fishing is overwhelming and my goal is to transmit it. 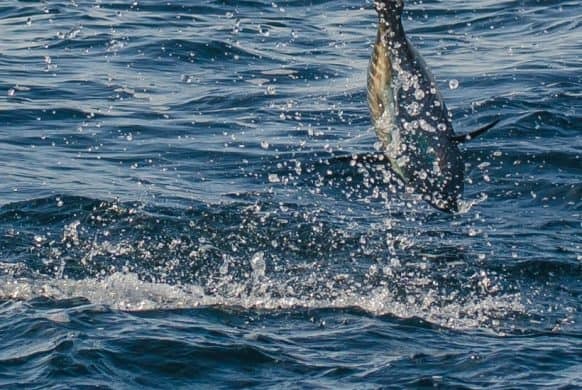 Through my experience, both in Europe and around the world in fresh and salt water, I have had the opportunity to capture a number of exciting species, but none competes with the Bluefin Tuna. 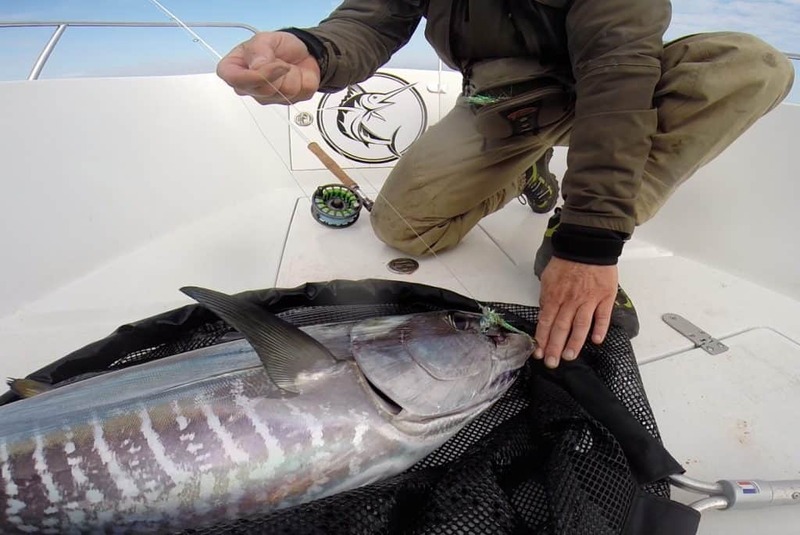 The adrenaline rush, the heart stopping sights of the topwater feeding frenzies. 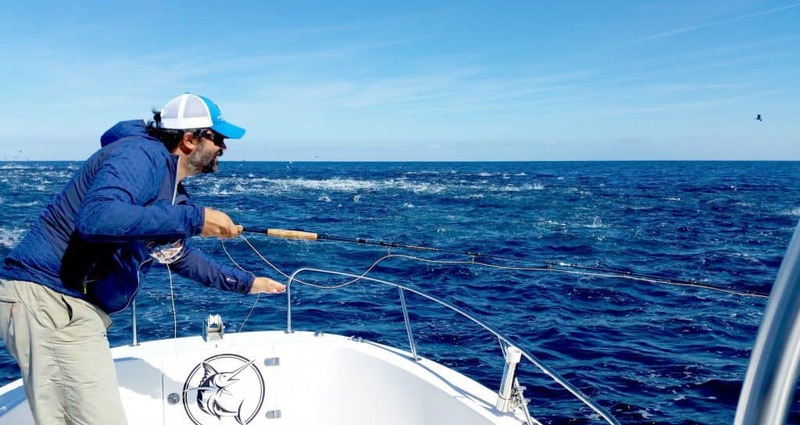 These emotions are what we want share with you within the BFT-Guiding team. 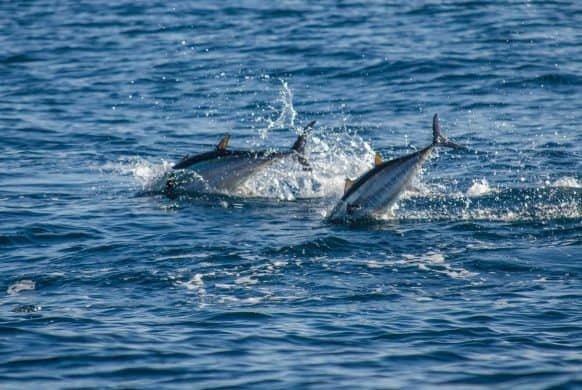 Our great knowledge of the tactical and technical variables necessary for the success of your Tuna endeavors, whether fly or spinning, offers you the best chance to get in touch with this mythical fish. 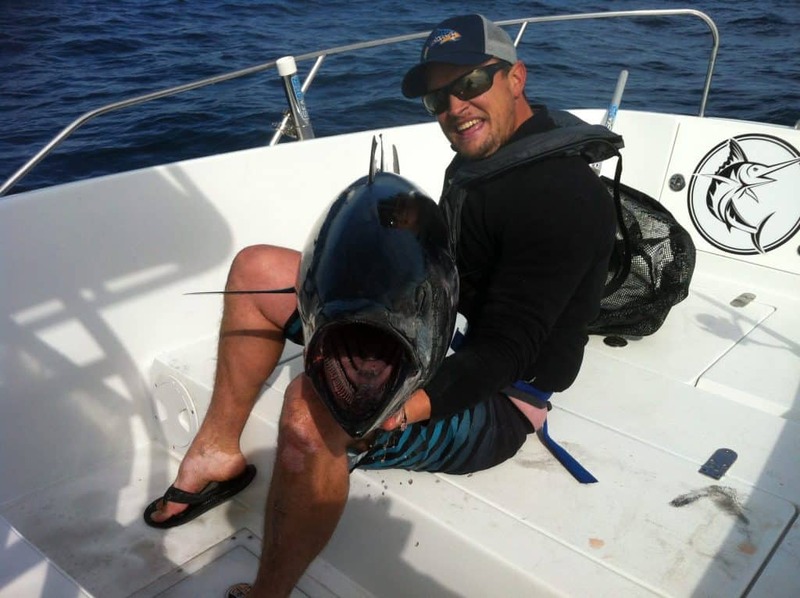 Competence, professionalism and friendliness are our core values … plus a small dose of madness! 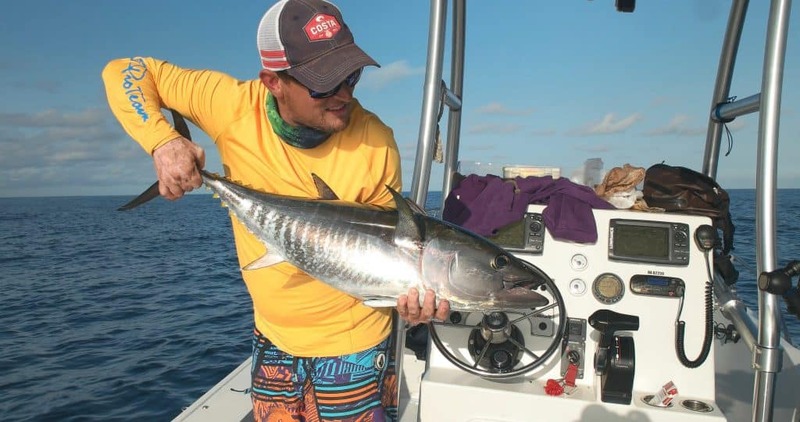 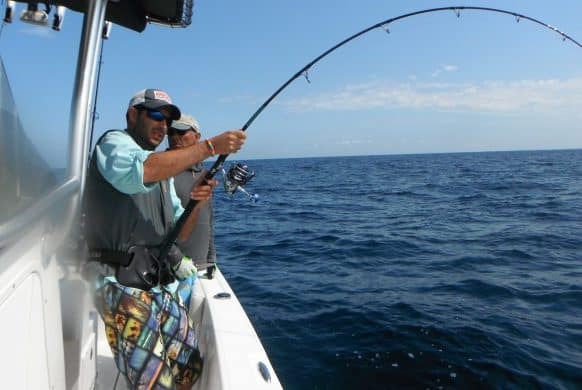 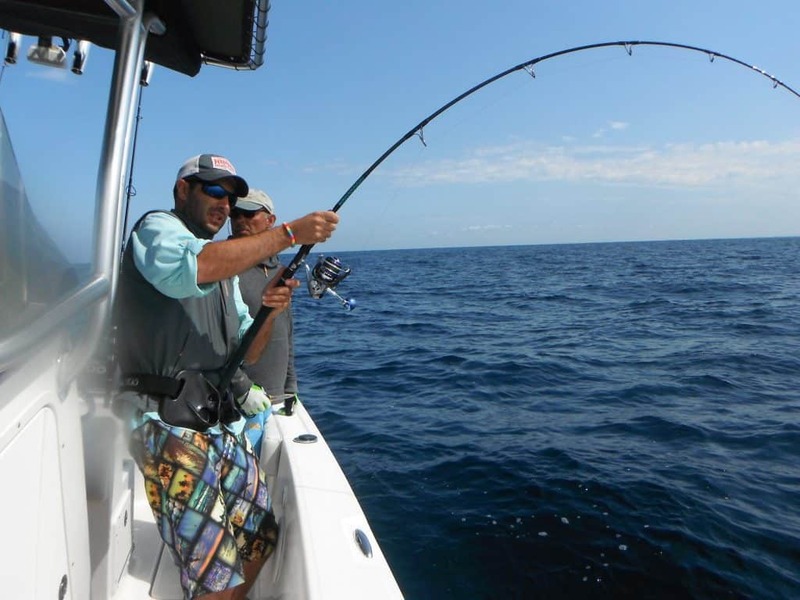 The BFT-Guiding team will welcome you on a boat entirely designed for sport fishing. 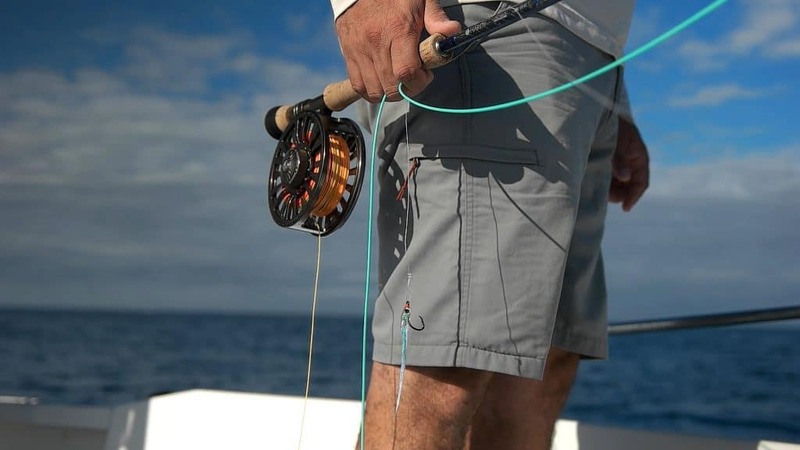 Our Everglades 243ccwas designed by Bob Dougherty, and features a high quality of construction. 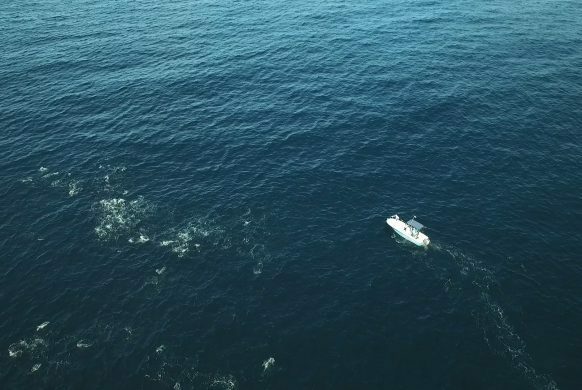 With a length of 24.3 feet for 8.2 feet wide this boat allows up to 4 spinning anglers to cast simultaneously. 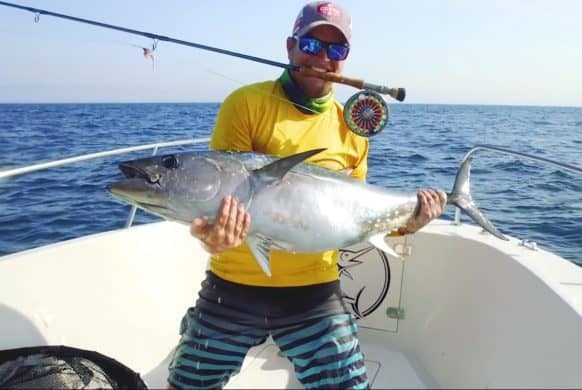 Its special design with a platform at the front and a rear deck will allow up to two fly anglers to cast for tunas at the same time in good sea conditions. 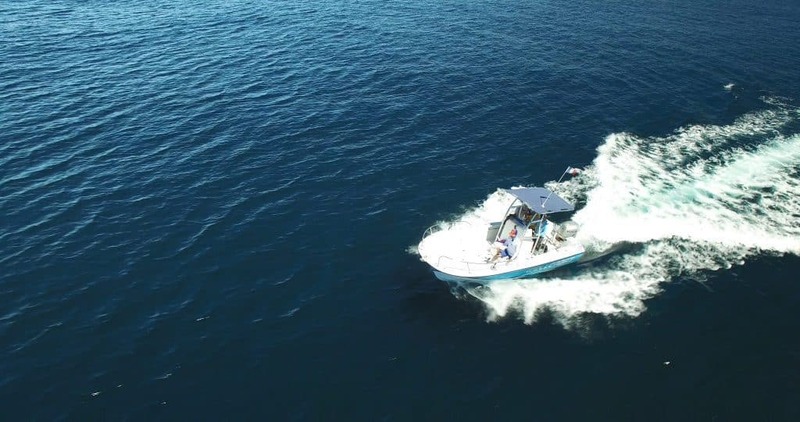 The boat is equipped with a Mercury Verado engine. 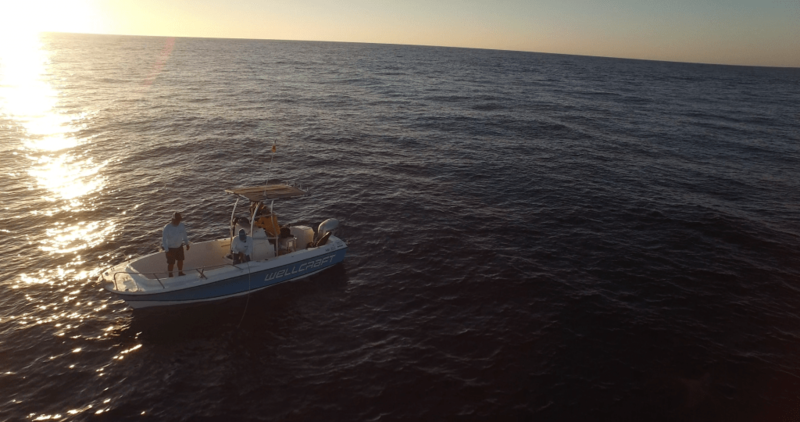 This 275hp outboard provides exceptional performance and navigation capacity needed for these offshore fisheries. 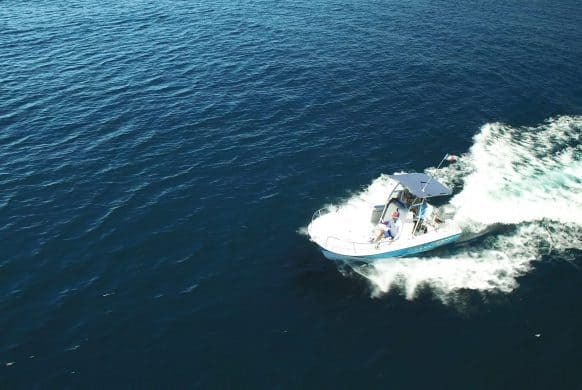 The boat is equipped with state of the art electronic: on-board computer, sounder, and full security as per the very strict French regulation (life raft, lifejackets for each fisherman, VHF, etc.). 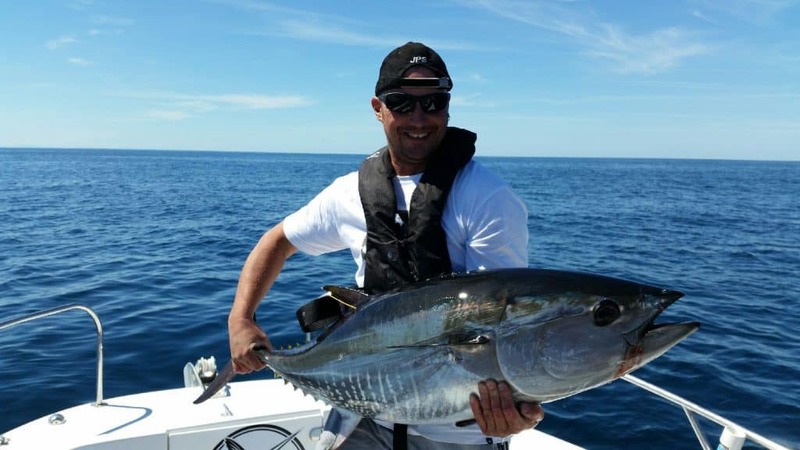 You will enjoy a day of tuna fishing madness in optimal safety and comfort conditions on an exceptional open boat. The tackle quality is a key dimension in the fishing of such a powerful fish. 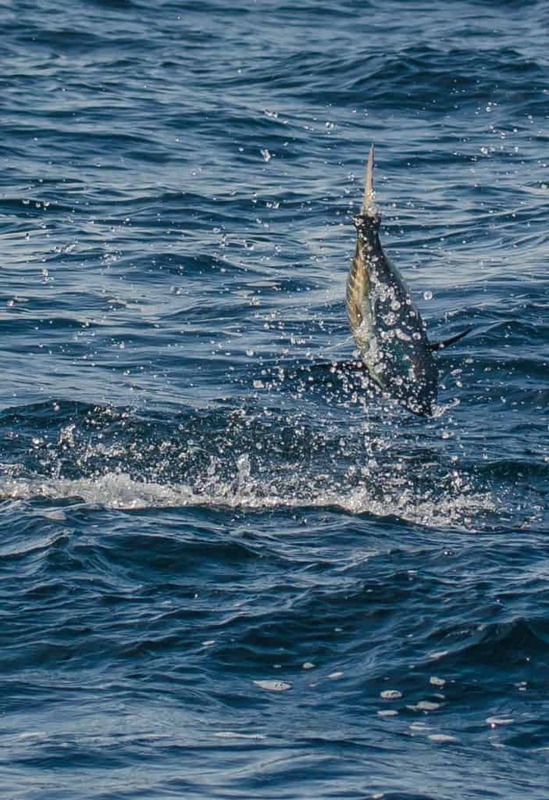 The bluefin tuna will destroy any part of the equipment which is not fit for its raw power. 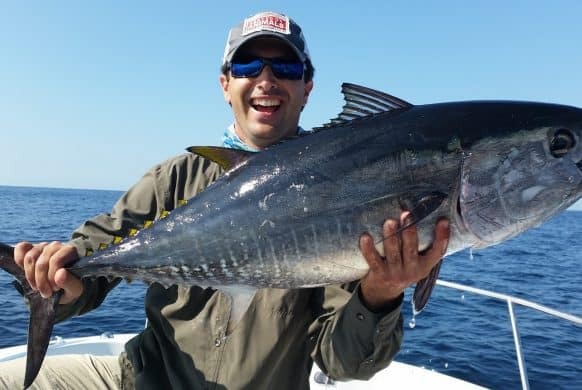 For spinning lure fishing, we will provide you with Abu Garcia Salty Stage KR-X TUNA rods equipped with Penn Slammer III reels. 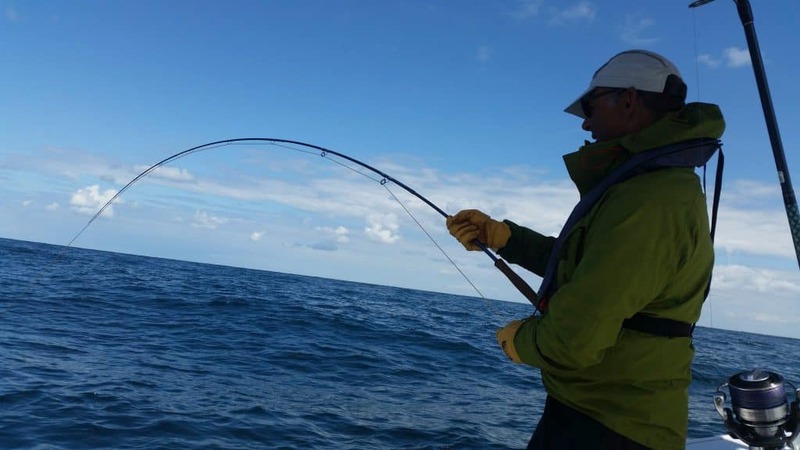 This tackle will allow you to handle the Bay of Biscay bluefins, which commonly reach sizes between 25 and 180 lbs. 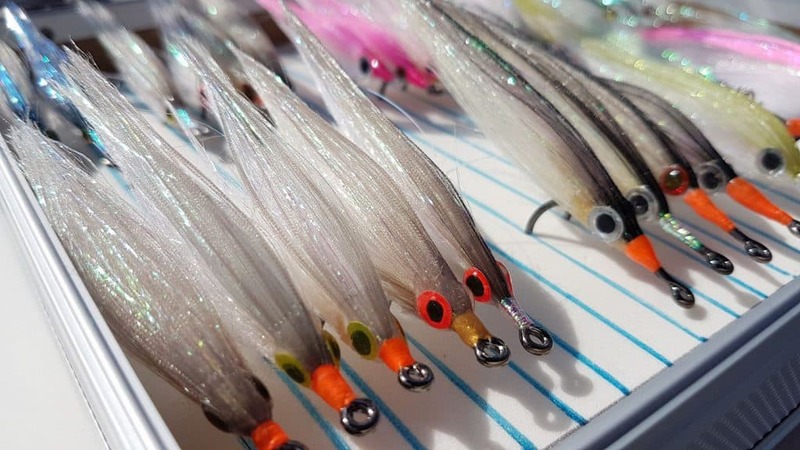 Lures are also included in the package. 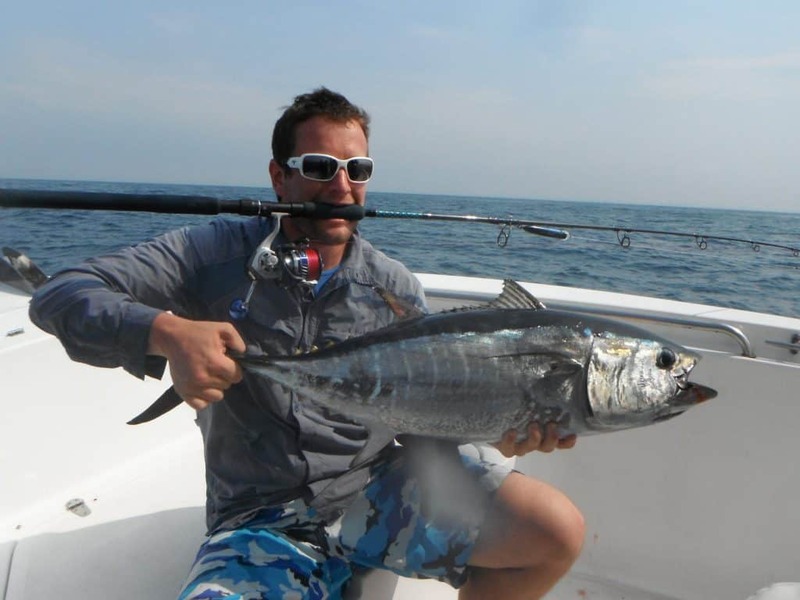 Fly fishing tackle requires even more attention, as only few rod and reels are strong enough for this fish. 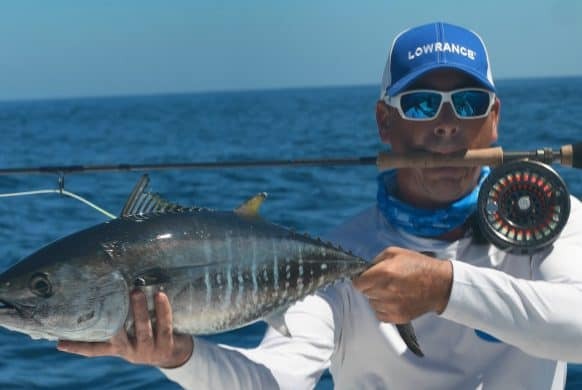 We have selected “Hardy” sets that have proven their resistance: we use a combination of the Hardy Zephrus SWS #12 with FORTUNA XDS 12000 reels (smooth drag up to 30Lbs). 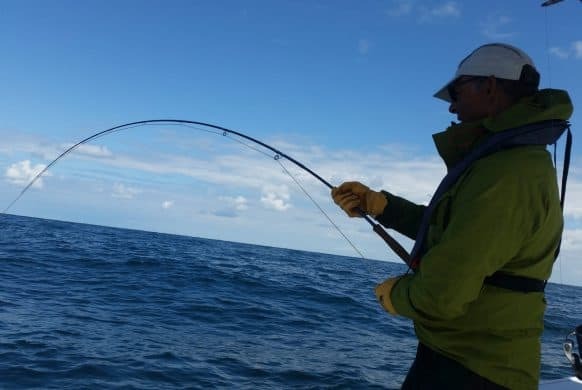 The Zephrus in 4 pieces can be used on fish up to 70 lbs, but we some one piece Zephrus SWS 12 line will be available if larger fish are present; the one piece model can handle fish up to 150 lbs. The services provided by the BFT Guiding team are different if you want to fish with lures or fly. 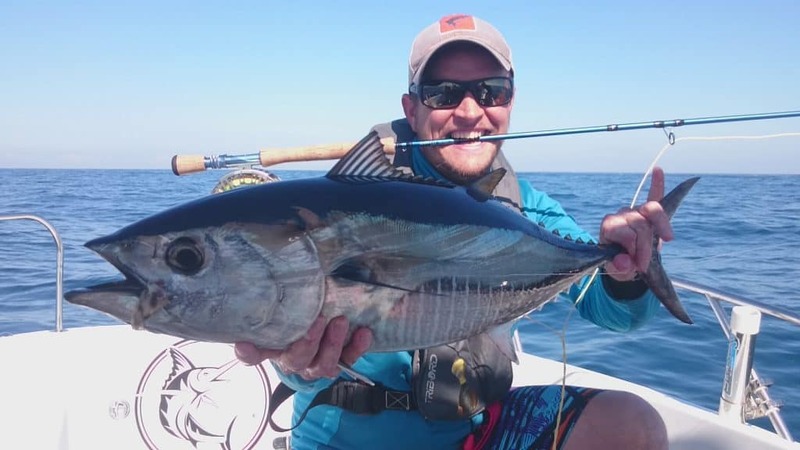 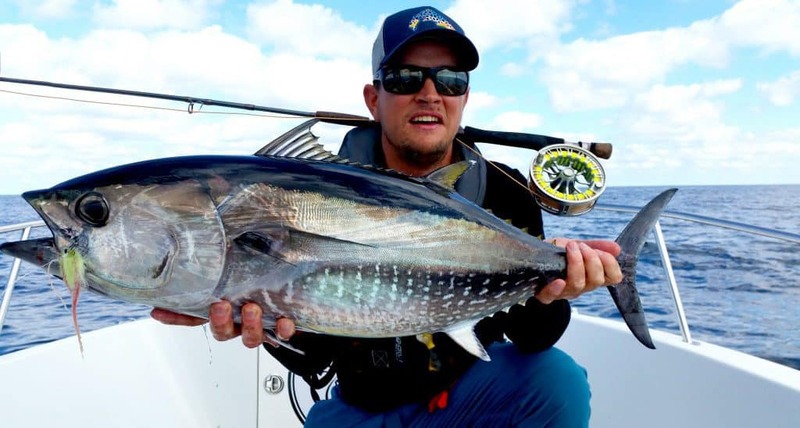 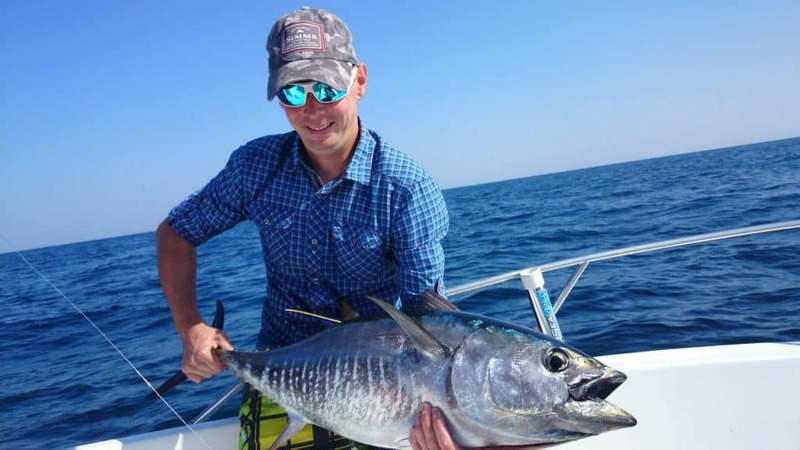 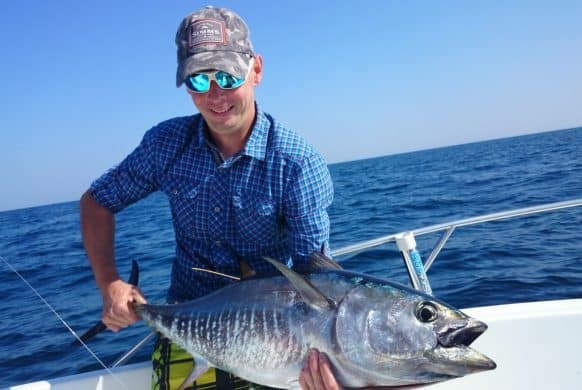 Fly fishing is very specific, with a different approach of the tuna feeding frenzies and specific use of the space of the boat, so we don’t propose to mix lure and fly fishing, but you can compose mixed groups with friends if you wish. 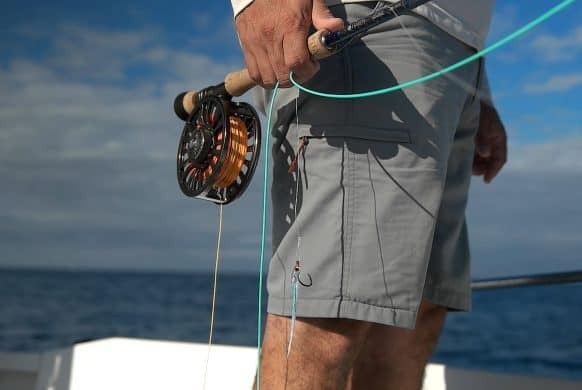 Fly fishing requires that each fisherman uses the front deck alone. 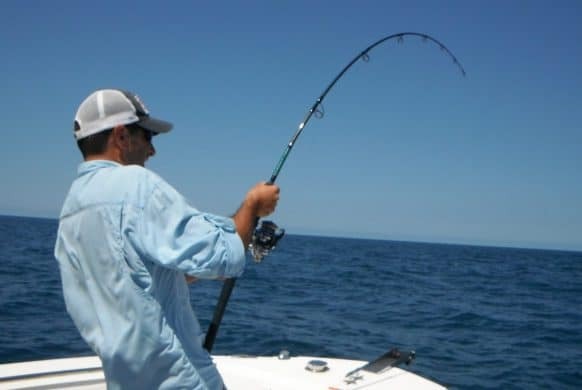 And even if the boat two anglers to cast in good sea condition, the most productive fly fishing position remains the front deck. 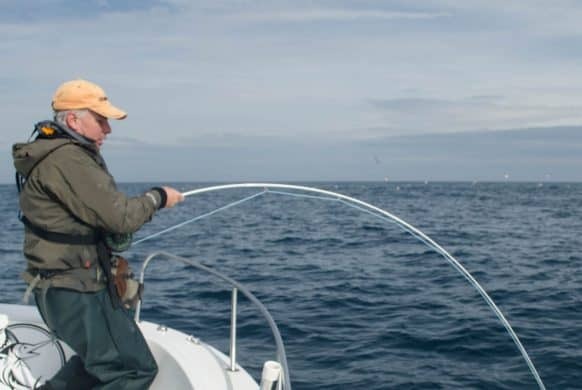 Fly fishing days are hence only offered as private boat. 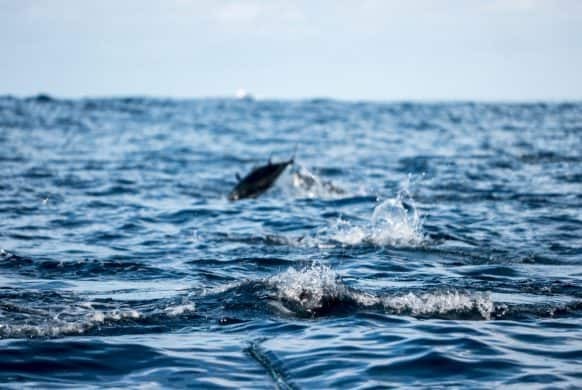 We may be able to form groups of fly fishermen, but the rates will remain on the basis of a privatization of the boat, regardless of the number of fishermen. 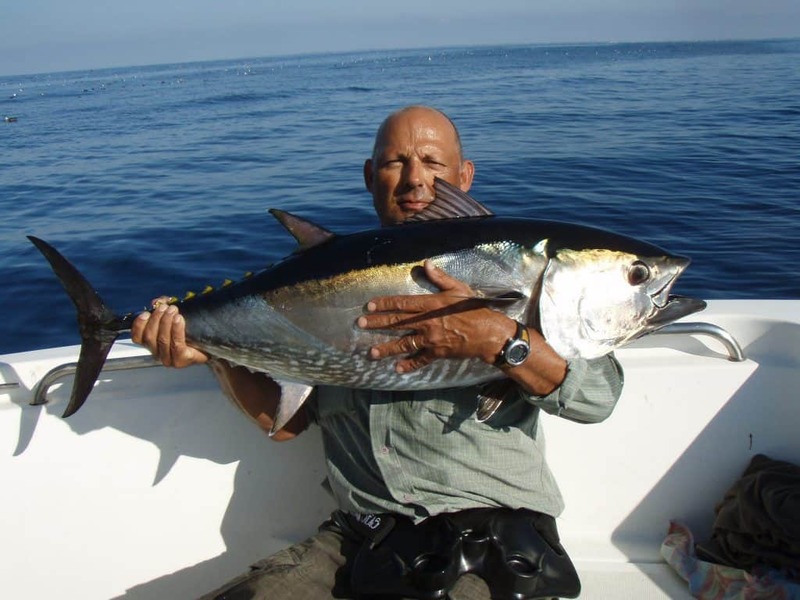 We also offer all inclusive trips from 2 to 5 fishing days. 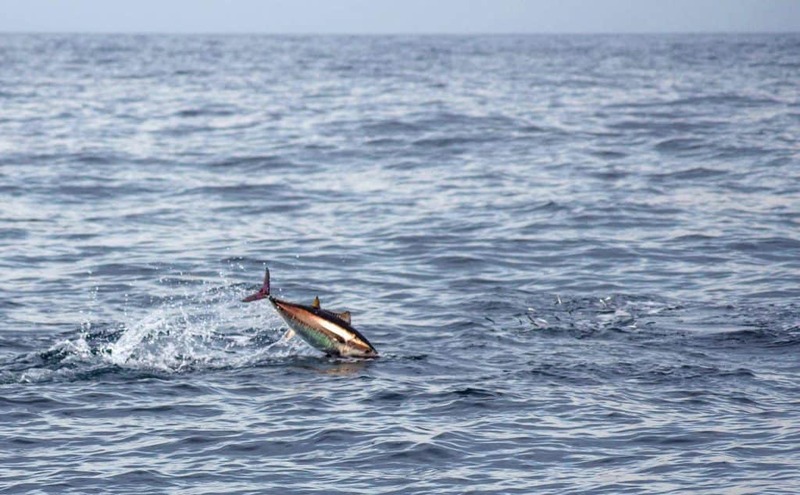 From your first step at the aiport to the departure we organize it all. 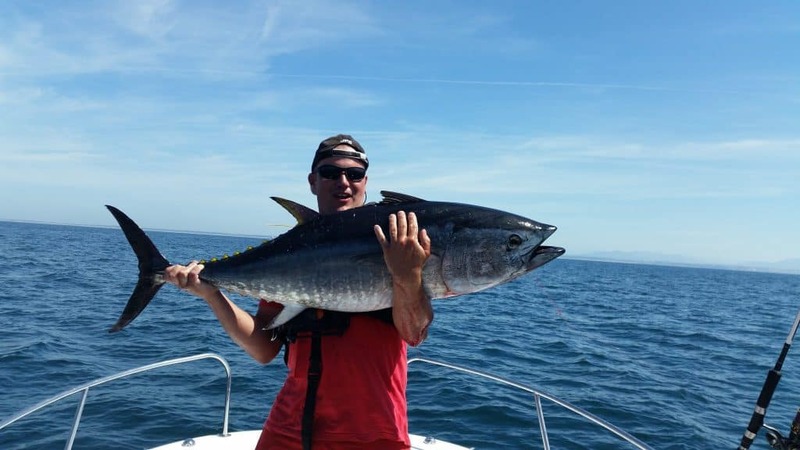 The Basque Cost and the Biarritz area offer a lot of activities for family Holidays. 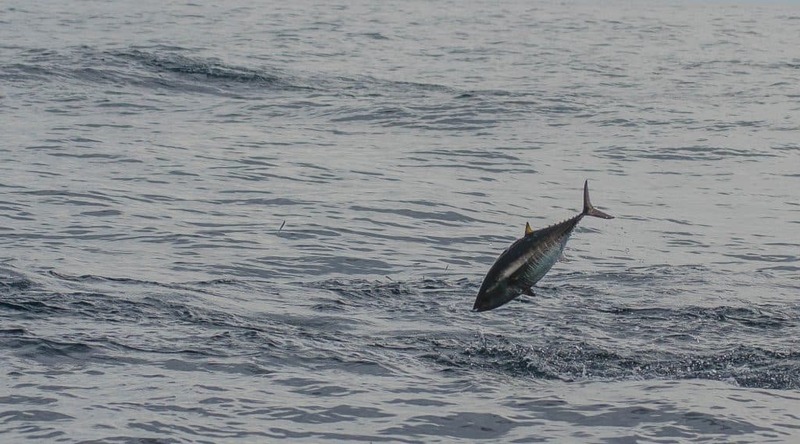 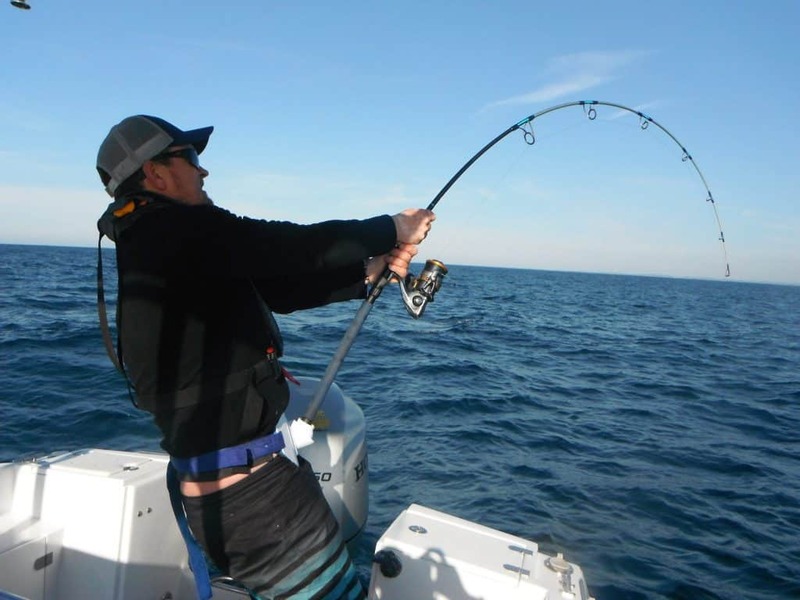 You just need to tight line and enjoy the big rush of Bluefin Tuna. 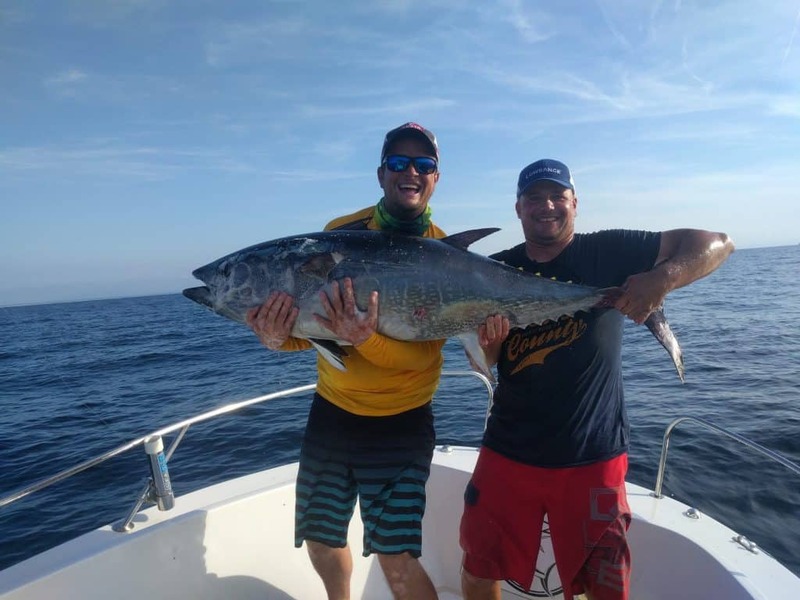 We can fish from mid-June to mid-October, but the most interesting fishing season has been between mid-August and mid-October. 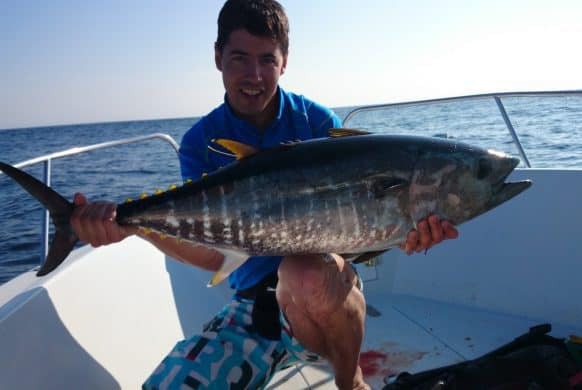 The rest of the calendar will be open at the last minute depending on the presence and activity of the tunas on the fishing area. 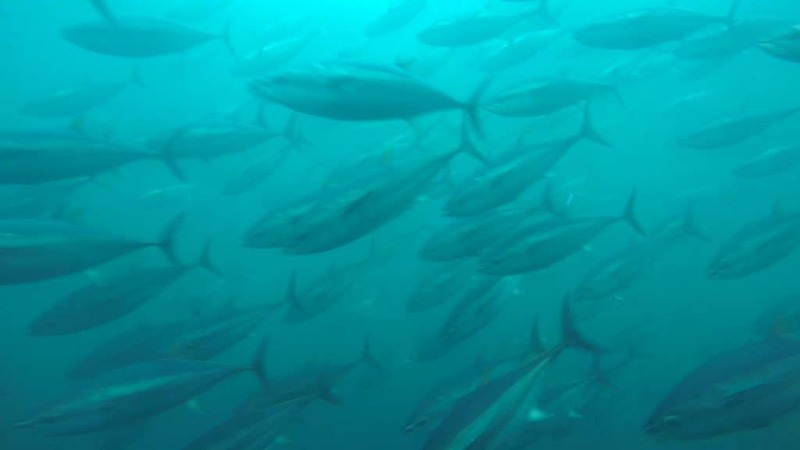 The Bluefin tuna fishery is subject to strict opening periods, and catch and release is compulsory by law. 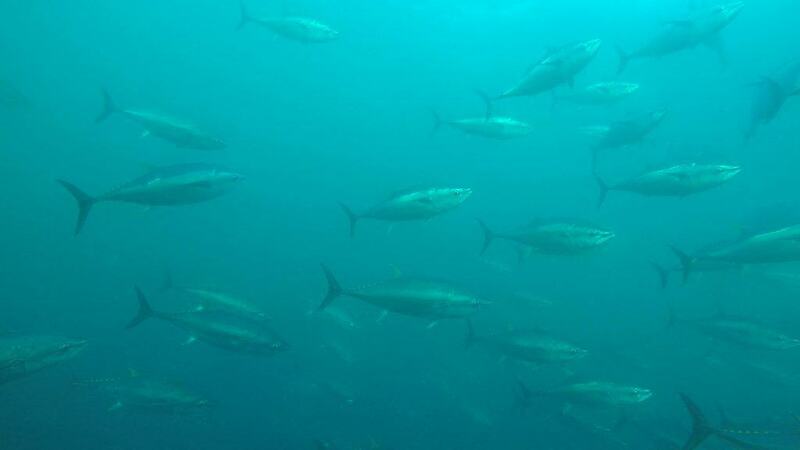 All the fish will be released after tagging. 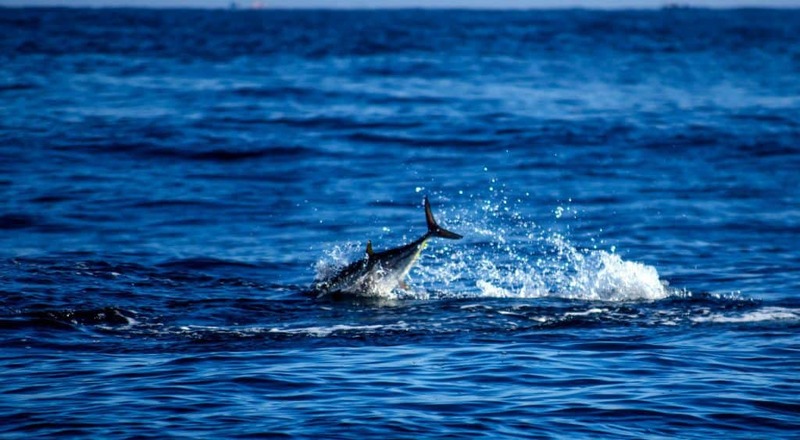 A postponement to a later date will be proposed. 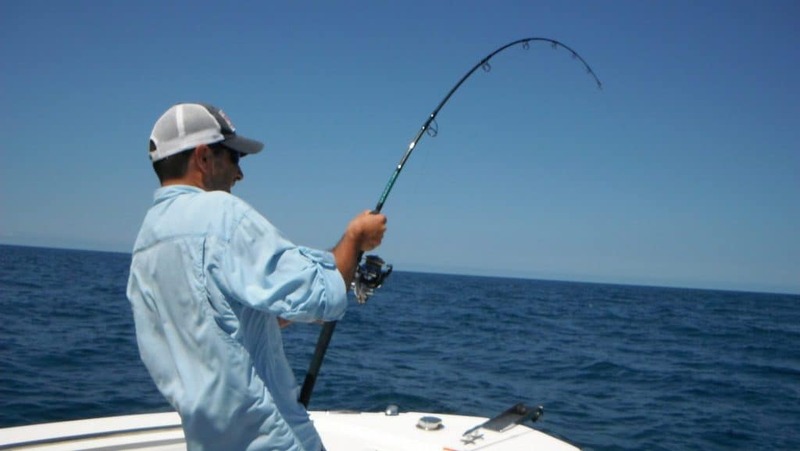 failing agreement with the customer the 50% deposit paid on booking will be refunded. 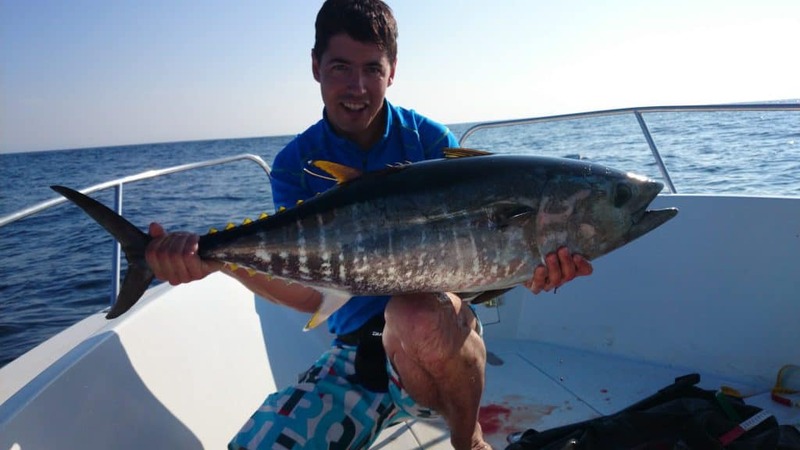 The deposit of 50% paid on booking will be returned to the customer. The 50% deposit paid on booking will be retained by BFT Guiding.